Hagia Sophia – The history of Istanbul is told within this single building, having been constructed first as a Christian church in 537 and then converted into a mosque in the 1450s. It now operates as a museum where the only exhibit is the building itself. Inside you’ll find a vast worshipping space, a beautifully decorated dome, the emperor’s apartments complete with Christian mosaics, a weeping pillar with reputed healing properties and the Sultan’s library. Make sure you watch the welcome video first to get the most from your visit. Topkapi Palace – The Sultans of the Ottoman Empire called this palace their home for hundreds of years from it’s completion in 1478. It was constructed around a collection of courtyards and has stunning views over the sea in places. 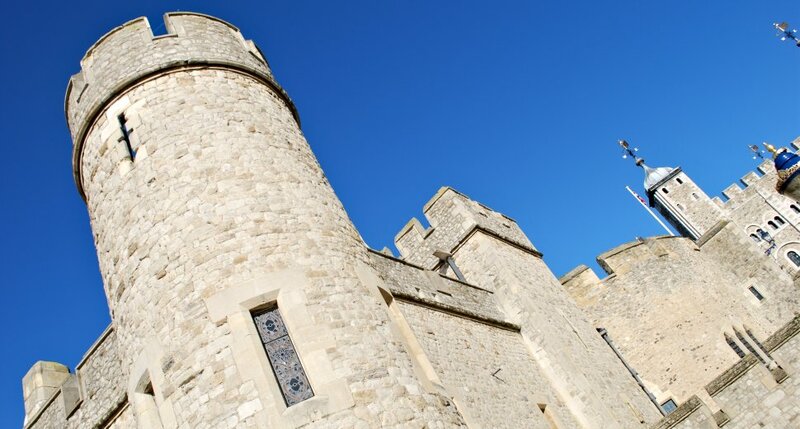 There are water fountains, a rose garden, kitchens, a treasury and several private mosques. There are some stunning tiled rooms to see in the ‘official’ section of the palace, but we enjoyed the private Harem section most where the Sultans and their families actually lived. 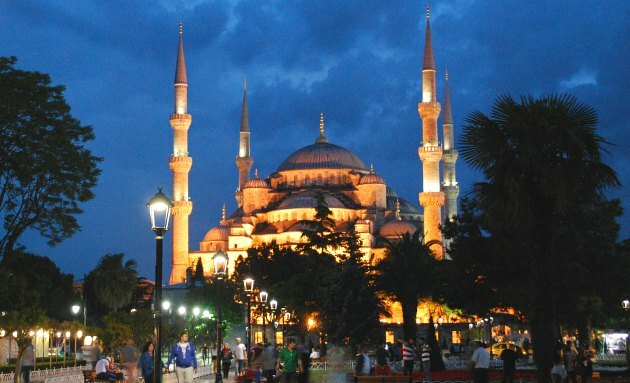 The Blue Mosque – This world-renowned mosque stands directly opposite Hagia Sophia and was built to emphasise the supremacy of Islam in Istanbul. 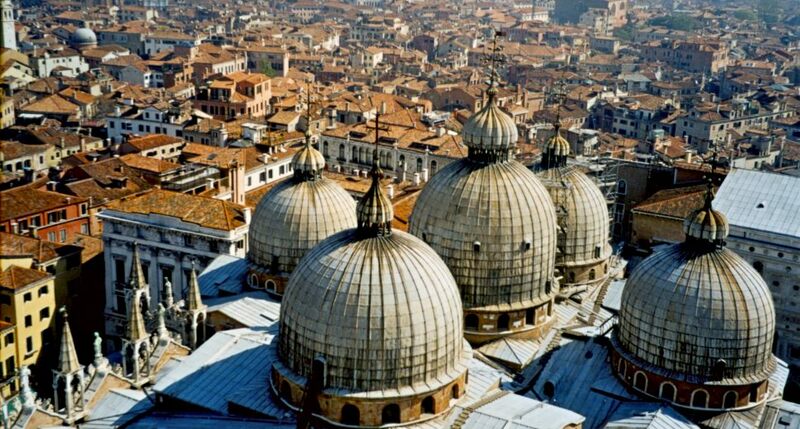 It was completed in 1616 and unusually has 6 minarets which can be seen from all around the city. Outside of prayer times, the mosque welcomes visitors and inside you are treated to ornately decorated walls, finished with distinctive blue tiles which give the mosque its name. The whole place has a calming and peaceful atmosphere. 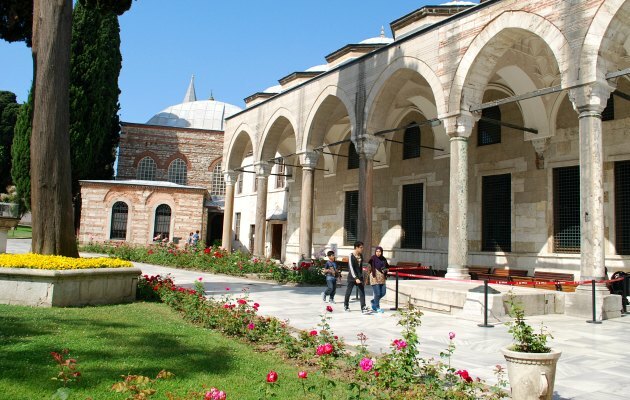 Sultanahmet Square – This historic plaza is adjoined by a lovely landscaped park linking the Blue Mosque and Hagia Sophia. 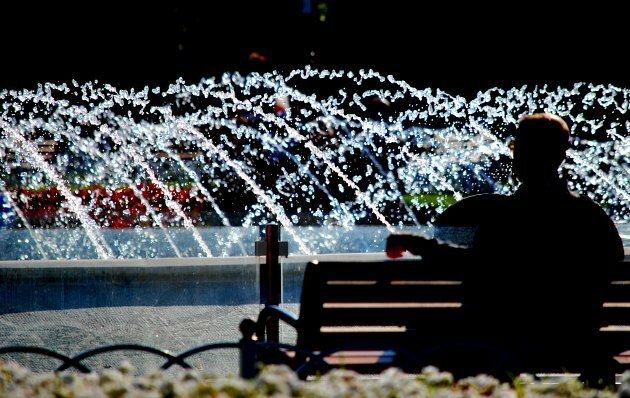 At the centre of the park is a ‘performing’ water fountain with different coloured lighting and a range of water displays. 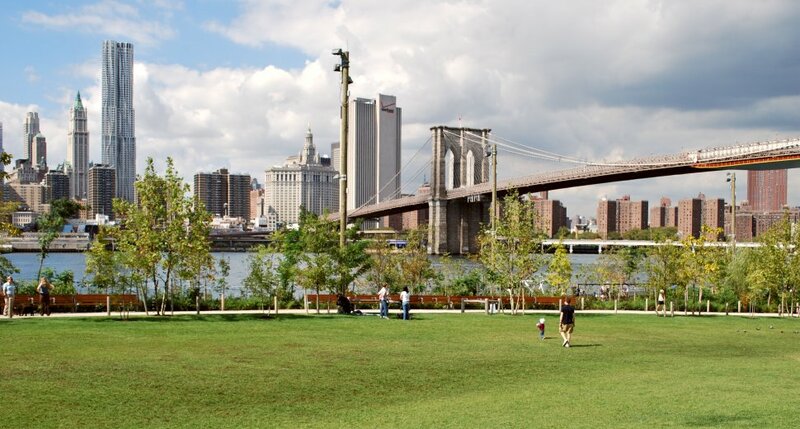 Surrounding this are manicured lawns, flower beds and lots of wooden benches to sit on. There are also street food sellers and cafes surrounding the square. 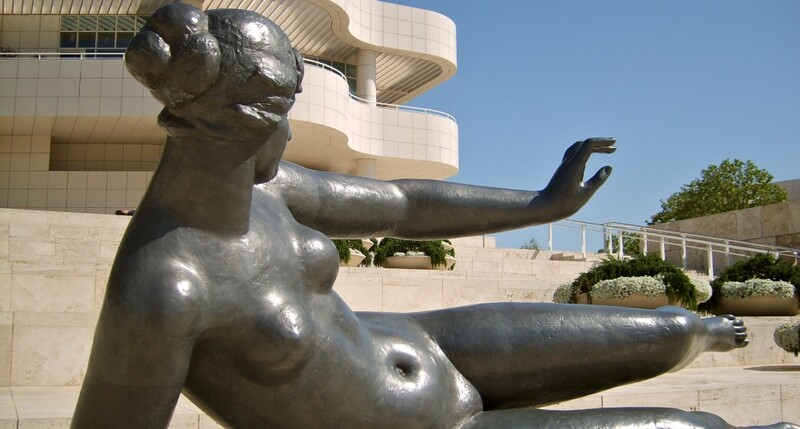 It’s a great place to relax and take in the atmosphere with two of the world’s most impressive buildings around you. Grand Bazaar – Istanbul’s history is inextricably linked with trade and the historic Grand Bazaar has been the central retailing point in the city for a large part of that history. The bazaar is basically a network of undercover shopping streets, where the painted ceilings are as appealing as the goods on sale. 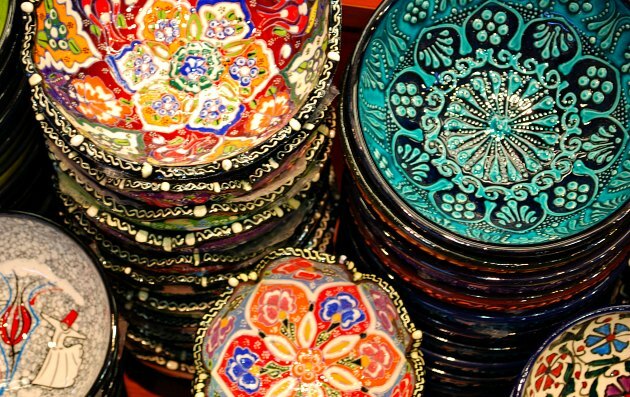 If it’s Turkish crafts, leather goods, ceramics and carpets you want, this is the place to haggle your way to a bargain. 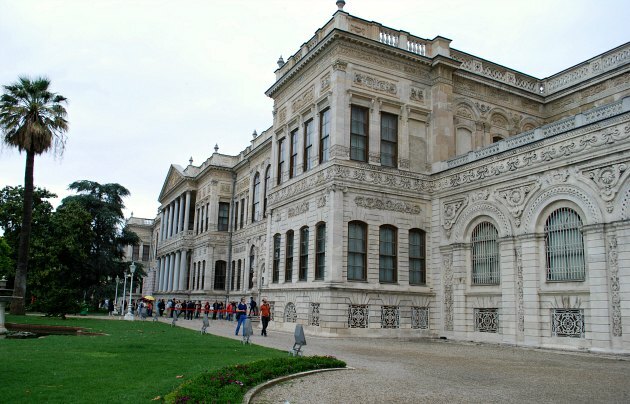 Dolmabahçe Palace – As the Ottoman Empire grew, one Sultan felt the need for a more ‘European Style’ palace than Topkapi and a prominent location on the Bosphorus was chosen to build this huge new home. On the outside, it’s reminiscent of palaces like Versailles, but inside the east-meets-west theme is more obvious, not least in the large Harem section which housed the Sultan and his family’s private apartments. 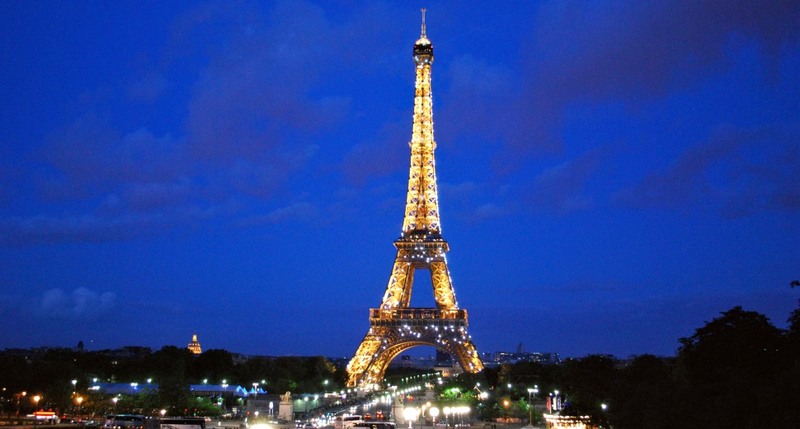 Tours in English take place regularly here. 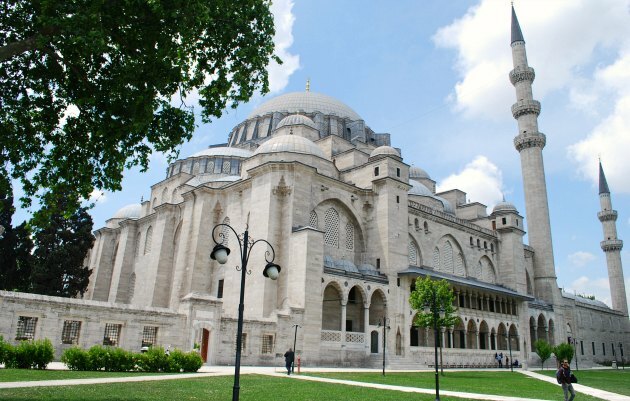 Süleymaniye Mosque – Before the Blue Mosque was built, this mosque was the biggest in Istanbul and it stands proudly on top of a hill overlooking the entire city. The mosque is well worth visiting for its simple, but beautiful interior but also for the tremendous views from the gardens. 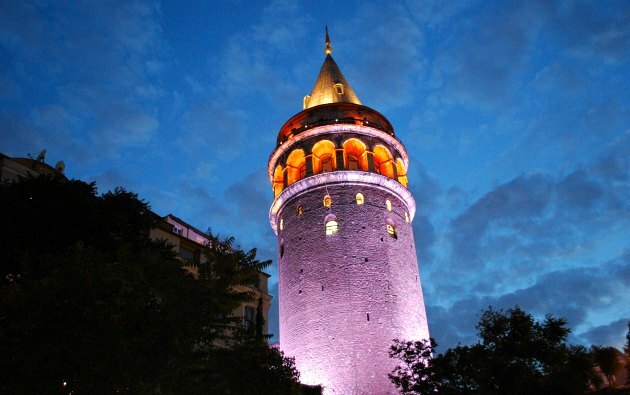 Galata Tower – Overlooking the old city, the Bosphorus and the Golden Horn there are some terrific views to see from the top of this historic tower which stands on top of a hill in the new city. 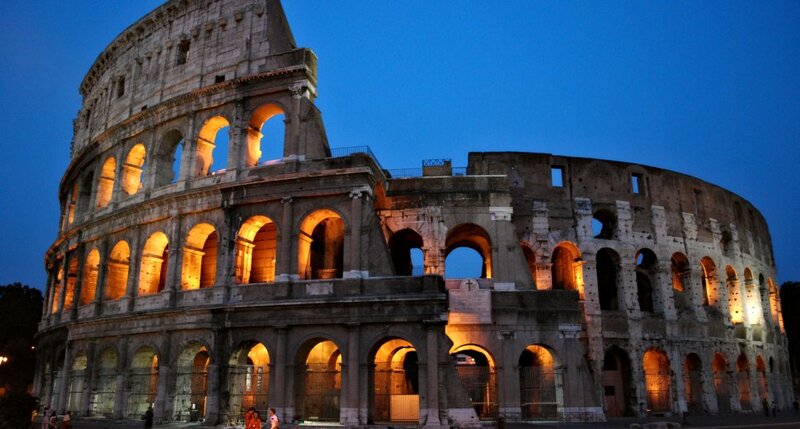 We’d recommend a visit at dusk for a moving experience and there are elevators to take you most of the way to the top. 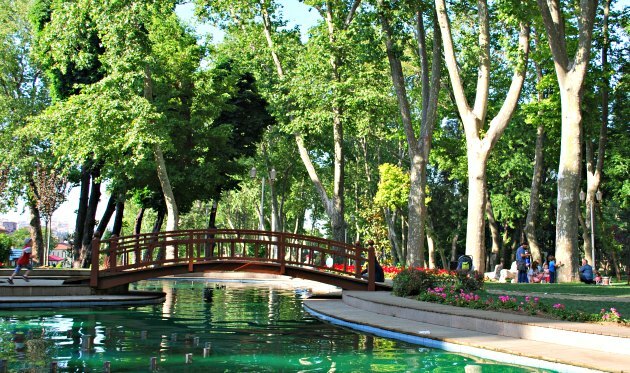 Gülhane Park – When you go for a stroll here, you’ll be following in the footsteps of the Sultans before you as this used to be part of the gardens of Topkapi Palace. The park is still retained within the old palace walls, but now provides an attractive walkway down to the sea. 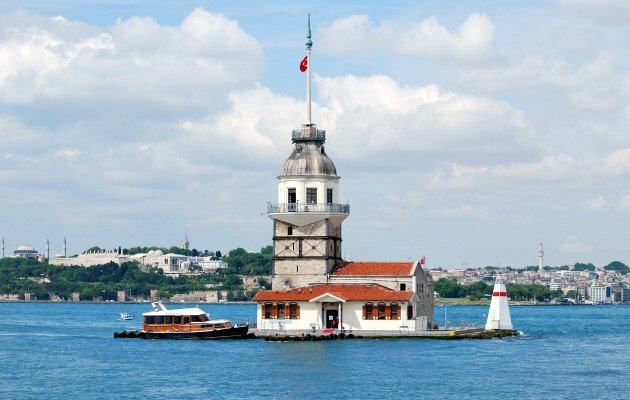 Maiden’s Tower – It might look like a simple lighthouse, but there are plenty of more exciting legends associated with Maiden’s Tower, which is also known as Leander’s Tower. The maiden in question was reputedly an Emperor’s daughter, rather than M in the 007 movie “The World Is Not Enough”. 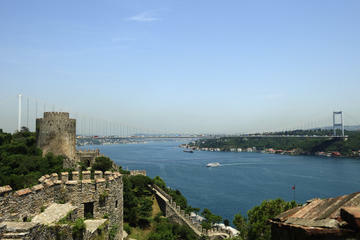 Asian Side – Istanbul sits across both sides of the Bosphorus meaning some of the city is in Europe and some in Asia. Most visitors stay on the European side, but you can hop onto the Marmaray underground train, or one of the ferries, to take a trip from one side to the other to see what the Asian side has to offer. Taksim Square – At the heart of the new city stands a large public square which has been modernised in recent years. 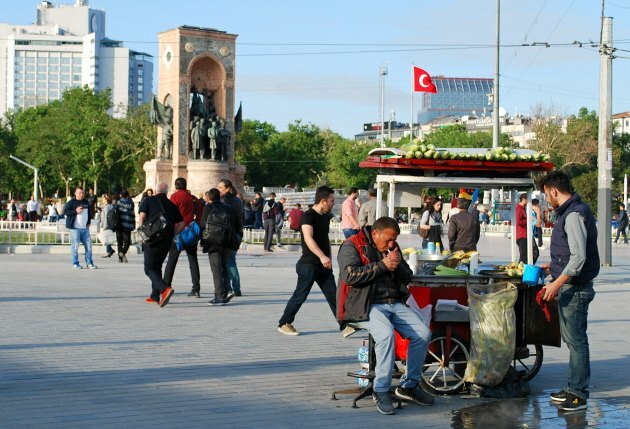 Taksim is a place where people gather together, sometimes for public events and sometimes just to shop and eat. The historic tram line terminates here after travelling up Independence Avenue which is lined on both sides with well known shops and restaurants. 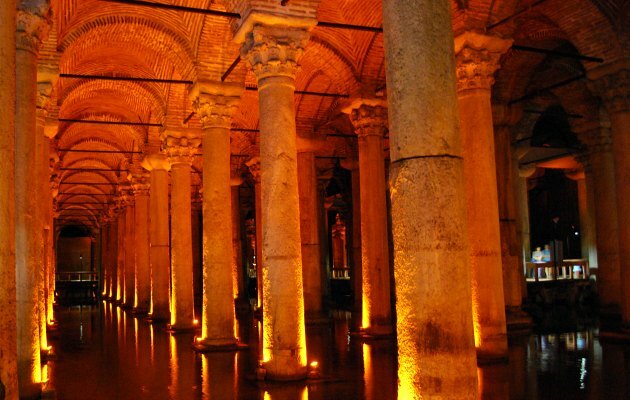 Basilica Cistern – The Byzantines built huge underground water storage areas in Istanbul and the Basilica Cistern is one of the finest. Descend the steps to see stone column after stone column supporting the ceiling of the cistern, which is laid out with walkways to allow you to explore. Cruising on the Bosphorus is a must-do activity in Istanbul, This tour combines a cruise with a tour of either Küçüksu Palace or Rumeli Fortress. Along the way you’ll see the main sights of Istanbul including Dolmabahçe Palace and Galata Tower with the commentary of an expert on-board guide. 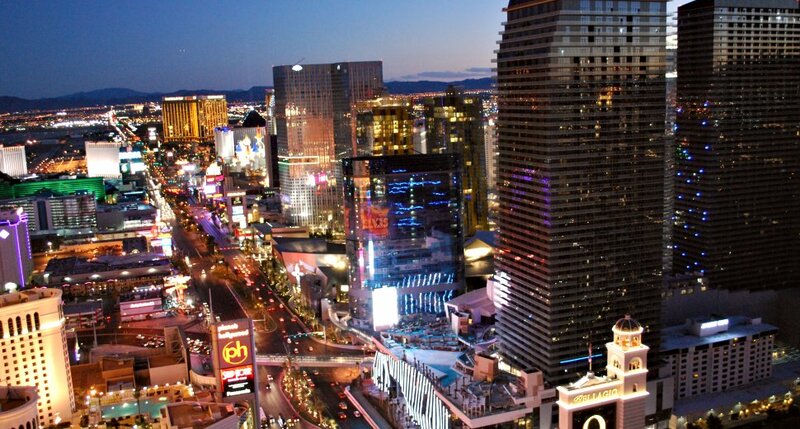 The cruise lasts around 2.5 hours and hotel pickup is included. 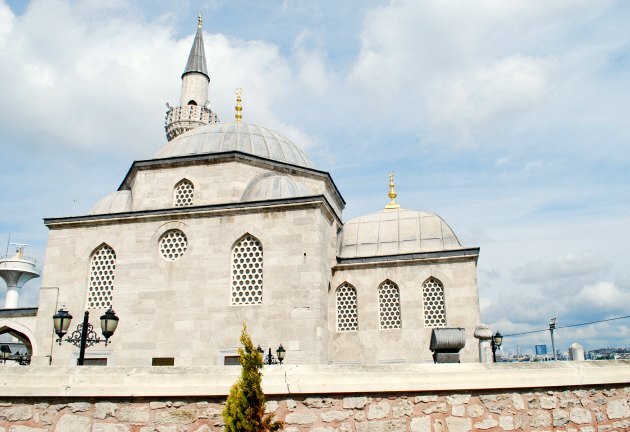 This tour includes all the main highlights of Istanbul in one day. 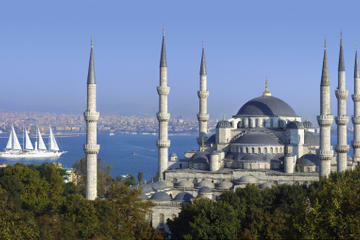 You’ll see the Blue Mosque, Hagia Sophia, Grand Bazaar and Topkapi Palace. Lunch and all admission fees are included. This tour is designed as a shore excursion and starts at the port, but it can be booked by anyone looking for a full and guided introduction to both old and new Istanbul. Indulge yourself at Istanbul’s most luxurious Turkish Bath, knoan as the Hammam. 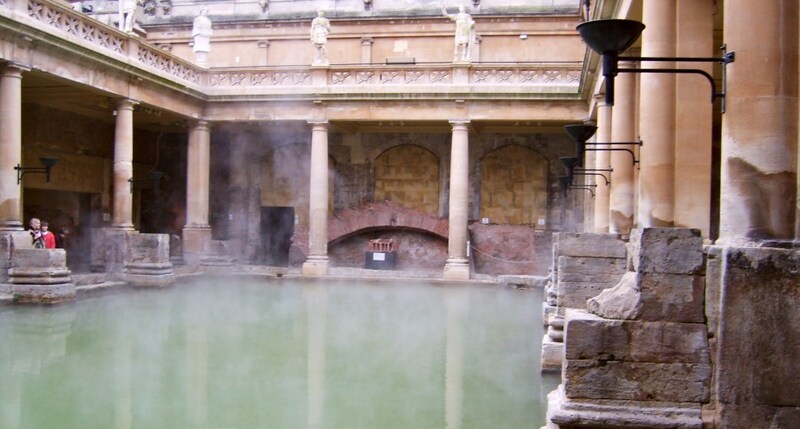 Enjoy a relaxing experience and feel like a Sultan as you while away some time in one of the city’s most historic baths. The soap massage last 30 minutes and then you can spend as much time in the baths as you wish. 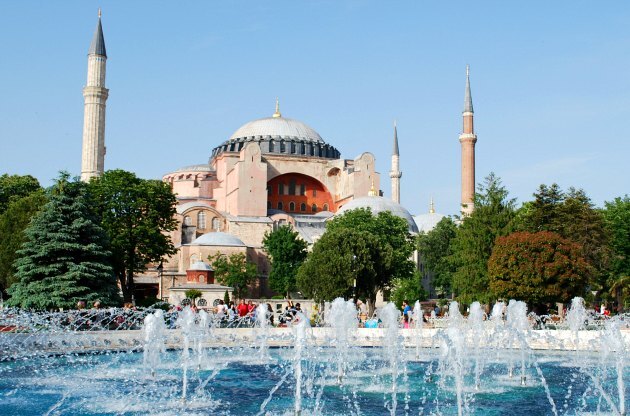 We stayed at the 4* Boutique St Sophia hotel which has a prime location right next to Hagia Sophia in Sultanahmet. Many hotels in Istanbul have traditional Turkish interior decor, but we really liked the modern, luxury feel of this hotel. We absolutely loved staying here would thoroughly recommend it to anyone. The service was truly top notch and the staff were pleased to assist with anything you needed from sightseeing advice to tram tickets. We chose a tariff with breakfast included which was a feast of fruit and pastries with freshly cooked eggs to order. Another plus here is the complimentary afternoon cake and coffee from 4pm to 5pm. Istanbul has a great public transport system and the buses, ferries, metro and tram are all accessible using the same travelcard or by buying individual tickets at the machines. The modern tram network is centred around Sultanahmed and for general tourism purposes you can get to most of the main sites using it. The trams are efficient, frequent and air-conditioned so they’re simple to use. They’re also very cheap!